About 40 percent of collision repair facilities surveyed weren’t guaranteed compensation from insurers for removing pinchweld coatings — a lack of financial support for a procedure that frame machine and auto OEMs say must be done. The latest round of “Who Pays for What?” results also found State Farm was consistently likely and Progressive consistently unlikely to reimburse that work no matter if the asking shop was in or outside of their direct repair program. Interestingly, other insurers differed on whether they were more likely to pay a shop in their DRP than an unaffiliated collision repairer for that work. Payment matters not only because it’s nice to have someone give you money but because a reluctance to pay can create a disincentive to remove the coating before mounting a vehicle on a frame machine. Failure to do that procedure on any vehicle whose manufacturers still allow pinchweld mounting flies against what is required for a safe repair, according to survey organizer and Collision Advice President Mike Anderson. Overall, 61 percent of nearly 700 respondents reported being paid “always” or “most of the time” for the work. “In my opinion, that 61 percent should be 100 percent,” Anderson said in a statement. However, Farmers (45.1 percent) and Progressive (44 percent) were most likely to refuse to pay a shop not in their DRP program. USAA came in first for percentage of DRP shops reporting payment “always” or “most of the time” (86.4 percent), while State Farm placed second with 81.4 percent. 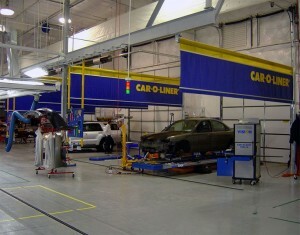 However, for non-DRP shops, State Farm by far (69.8 percent) was most likely to ante up, while No. 2 Liberty Mutual only consistently paid for the coating removal 59.5 percent of the time. The removal was one of 20 “non-included” structural or mechnical procedures in the 51-page survey, available for free to anyone who participated in it, $79 for those who commit to the next survey and $299 for everyone else. 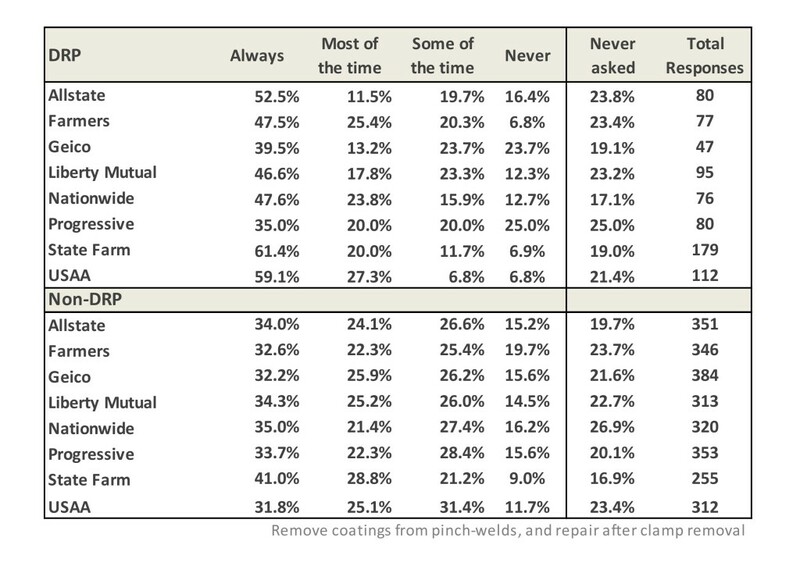 In July, Collision Advice and survey partner Crash Network released a similar study of more than 980 shops on nonincluded refinishing. Correction: An earlier version of this report contained inaccurate information about “Who Pays for What?” report pricing for those who had and hadn’t participated in the survey. We have since corrected it.